Describe how a week of camp would impact your group? Thanks for participating in this unique opportunity! At camp, Friday-Sunday are extremely busy with retreats, camps and events. In the summer we are jammed packed. Monday-Friday during the week are wide open. We do need time to clean and rest, but we also know that this camp is God’s creation and a wonderful place to be everyday of the week! We began to pray about it and ask ourselves how we could best use the open days at camp. In the future we desire to have schools come and host Environmental Education and Nature Labs, but in the meantime we had a better idea. Let’s give away a week. Why not! It is just sitting here. 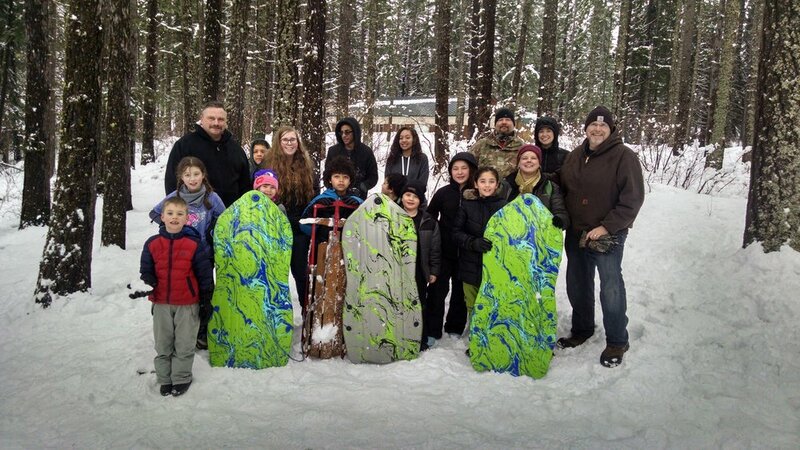 We know there are groups that would love to utilize our sledding hills, meeting spaces, hiking trails and fire pits. We know they will sing and play and learn. So here is the deal. We are looking to give away a free week of camp, including lodging, all meals, snacks, daily team builders, and service projects. We also will provide AV Equipment, tables and chairs. The only catch is we want to document the experience and you will provide your own programming. We want to take pictures of the group playing. We want to video the group using the indoor and outdoor spaces at camp. We want to ask questions to the group leaders and survey the kiddos. Our goal is to learn from the week and take back ideas to our Camp Board so we can offer similar weeks as part of our offerings. If you have an idea. We are open to ANY ideas, but we prefer ideas like school districts, home-school groups, nature clubs, school environmental groups etc. This does not need to be a Christian or religious organization. We are open to everyone. Submit your idea and proposed dates by clicking below. Why Koinonia bought an AED and is training staff for emergency?